Decreased Corrosion Protects engine surfaces from harmful corrosion and helps extend engine life. Improved Soot Management and Low Ash Technology Reduces soot related oil thickening and helps reduce engine wear. Increased Ring Wear Protection Reduces oil consumption and protects an engine's performance and compression. Pennzoil Platinum<sup></sup> Full Synthetic motor oil with PurePlus Technology is designed to give engines complete protection. PurePlus Technology is a revolutionary process that converts natural gas into a 99.5% pure base oil. Combining it with high performance additives means Pennzoil Platinum<sup></sup> Full Synthetic motor oil is proven to keep pistons up to 40% cleaner1 than the toughest industry standard, based on ILSAC GF-5. 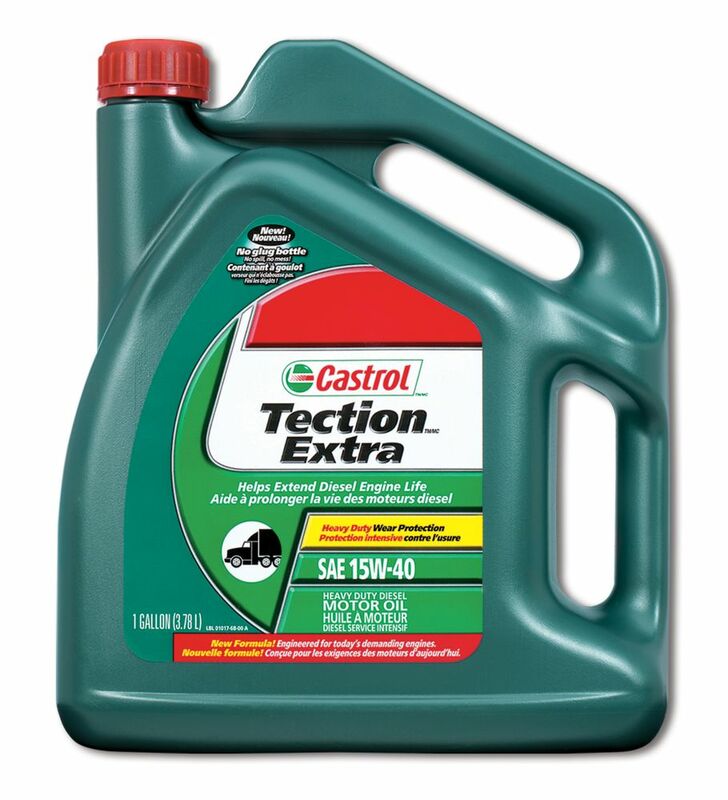 CASTROL TECTION 15W40 3.785L DIESEL Castrol Tection Extra is engineered to deliver 12 benefits in 1 formulation. Whether running an on road fleet or off road equipment, Tection Extra's Maximum Protection 12 formulation is a multi-benefit solution that provides 12 ways to protect your engine from the stress and strain of a harsh operating environment.